Deal includes all men’s and women’s CT, QS, BWT events! Surf News Network, 25 January, 2018. 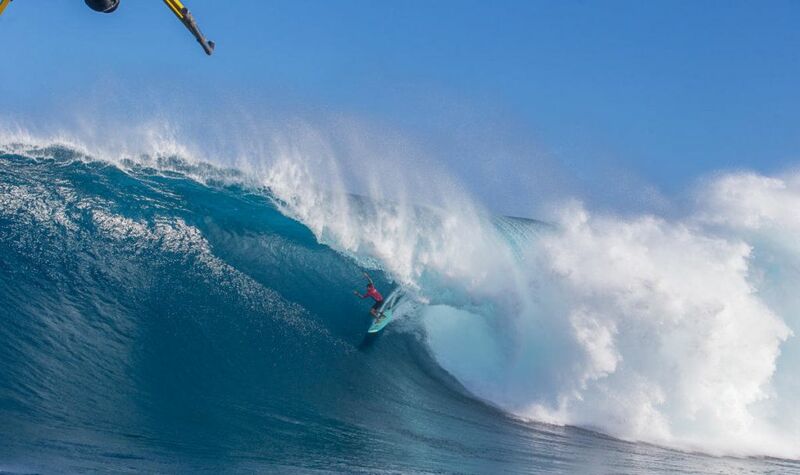 World Surf League and Facebook announced a historic partnership today that makes the social media platform the exclusive digital home for the top live events in surfing in 2018 and 2019. This includes all elite men’s and women’s Championship Tour events, the Qualifying Series 10,000 and Big Wave Tour events, as well as the World Junior Championships. The deal builds upon the non-exclusive live rights agreement that Facebook and WSL struck last year, in which all men’s and women’s Championship Tour events, as well as Big Wave Tour events, were simulcast on Facebook and WSL’s website and mobile app. Aside from the significant reach on WSL channels, more than 13.9 million people watched a World Surf League event on Facebook in 2017 – and they came from countries all over the world. The top three countries in terms of unique viewers were in the U.S., Brazil and Mexico. The relationship has proved to be a model example of a flexible, innovative and collaborative relationship for both parties. All live events will be available globally on Facebook. Those in the U.S. will be able to tune in on Facebook Watch, a video platform where content, conversation and community come together. The partnership also calls for additional Facebook Watch programming, such as Surfing Sundays, which recaps each week’s top surfing action, with more programming planned in 2018 on this platform. The shows are part of the World Surf League’s robust content offering. The League produces 800 hours of live content a year across multiple disciplines as well as a wide array of static storytelling and educational content covering the sport, history, heritage and culture of surfing, which will be available on WSL platforms alongside Facebook. When recently analyzed in late 2017 by Sports Business Journal and third-party social measurement company Hookit, the WSL ranked in the top 3 sports leagues in the world in social engagement, alongside the NFL and NBA. Crowning the undisputed men’s and women’s champions since 1976, the WSL’s elite Championship Tour takes the world’s best surfers to Australia, Brazil, Indonesia, South Africa, Mainland USA, France, Portugal and Hawaii in 2018, all of which will be broadcast live on Facebook. Supporting the live content of the elite tier will be the Qualifying Series 10,000 events, the WSL Junior Championships and the WSL Big Wave Tour (BWT), taking the world’s best men’s and women’s big wave surfers to Nazaré, Pe’ahi, Mavericks and Puerto Escondido – all events will also stream live on Facebook in 2018 and 2019.